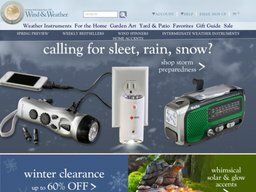 Wind & Weather is a leading retailer of weather instruments, based out of Madison, Virginia, United States. Their selection ranges from basic thermometers to full blown wireless weather stations. The privately held company sells its products through a traditional mail order catalog and an online store at WindAndWeather.com, which launched back in 1998. This made it the first eCommerce site of its kind on the web. Shopping online is particularly beneficial as they're always running special offers and deals. To redeem these you need Wind and Weather coupons, an list of which we keep updated here at Coupofy. Simply browse for one you want to use and then redeem it at the store. Wind & Weather was founded back in 1976 as a store and weather monitor on the coast of California. They then began marketing their selection of products in a mail order catalog which proved more lucrative than attempting to start a retail chain. With the rise of the internet the online store was a natural progression, though you can still mail in orders the old fashioned way. Today it is one of the largest suppliers of weather instruments in the United States. Wind & Weather's instruments are perfect for those working in climate fields or studying at university, hobbyists, bird watchers, boatmen, pilots, sportsmen, and anyone else who requires reliable on the spot weather data. The site is organized in to appropriate categories and you can also use the search bar to look for something specific. Weather Stations (from basic digital battery powered devices, to advanced and scientific wireless USB transceivers), Rain Gauges, Wind Monitors, Thermometers, Barometers, Hygrometers, and others. Wind & Weather also sell a selection of Home & Garden products, such as Home Decor (Wall Art, Wreaths, Accents, and more), Accessories (Clocks, Lamps, Rugs, Ornaments, Vases, Pillows & Cushions, and more), Yard & Patio (Wind Spinners, Flags, Pots & Planters, Chimes, Stakes, Bird Houses & Baths, Garden Equipment, Patio Furniture, and much more). They even sell Apparel & Jewelry, such as Sweaters, Scarves, Necklaces, and Earrings. Looking for a bargain? Be sure to check out the Sales page, which is updated regularly with new deals and discounts. If you're buying for somebody else but aren't sure what to choose, you can also buy gift cards of multiple values, so the recipient can make their own purchasing decisions. Payments can be made to Wind & Weather using any major credit card (Visa, Mastercard, Amex, Discover), as well as Paypal and Bill Me Later. You can also redeem a Wind & Weather gift card for all or part of your order, the remainder which must be paid using one of the other methods. In order to redeem a Wind and Weather coupon code all you have to do is enter the code from Coupofy in to the promo box during checkout at the store. You should see this just before the payment step. 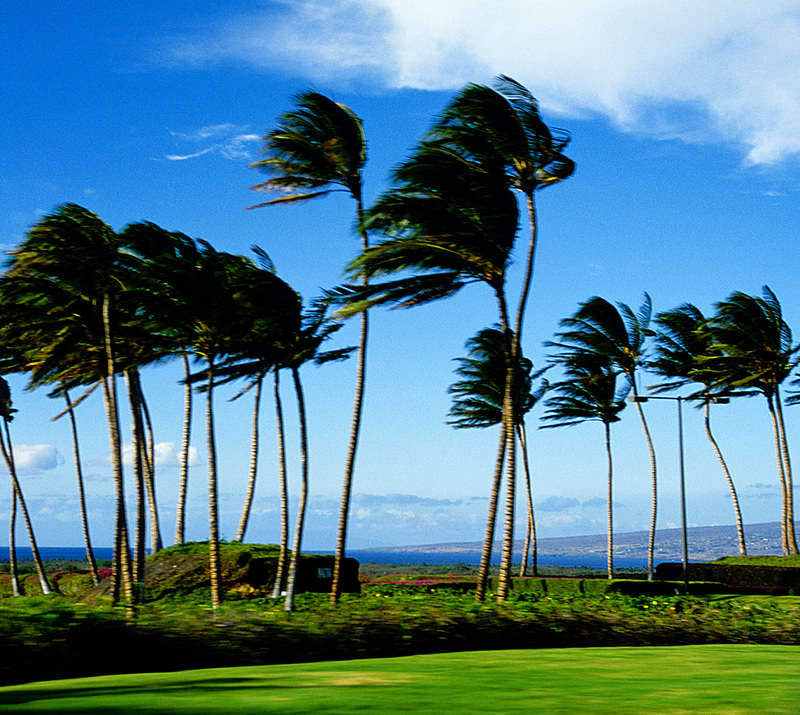 Wind & Weather caters to US customers (including Alaska, Hawaii and other US territories) and international customers. If you are overseas you will however have to call or email them to make an order so they can offer the best possible shipping method and rate. In the US select items will ship absolutely free without the need for a Wind and Weather coupon code. These can be found in their own special category on the site. Everything else is charged based on the value of the order. Options include Standard Ground (starting at $6.99 for orders under $25), which takes up to 7 business days; and Express (starting at $15.98), which takes up to 4 business days. Oversized items and bulk orders may have to be delivered via freight. If you aren’t 100% satisfied with your order, Wind & Weather will accept returns within 90 days of the original purchase date.This applies to unwanted items that are still in their brand new condition and items that arrived damaged or defective. With the former you will have to cover all shipping costs. All orders come shipped with the appropriate return form which must be included in the return package, and a prepaid UPS return label worth $6.95, the price of which will be deducted from your refund or store credit. Of course if you have use a WindAndWeather.com promo code to get a discount, you will only be refunded the dollar amount charged to your payment method.